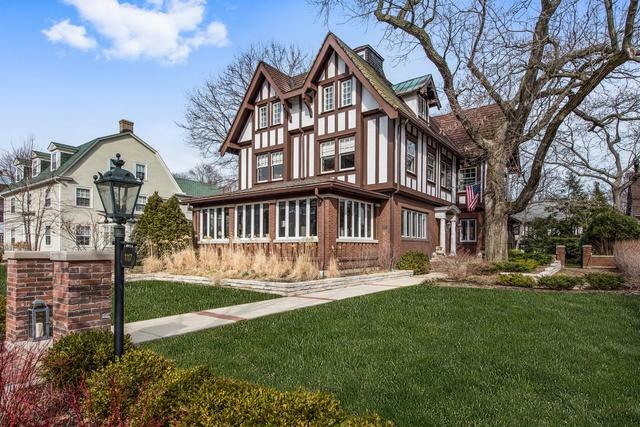 When you think of Evanston's famed Lakeshore Historic District this is the image that comes to mind! 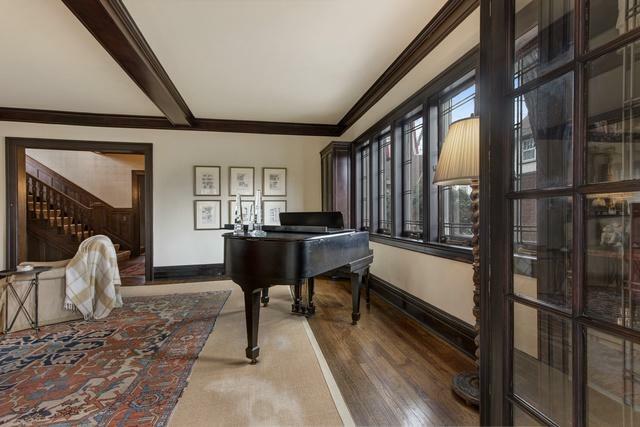 Grand, three-story Ernest Mayo designed Tudor Revival offering the very best of restored architectural elegance. 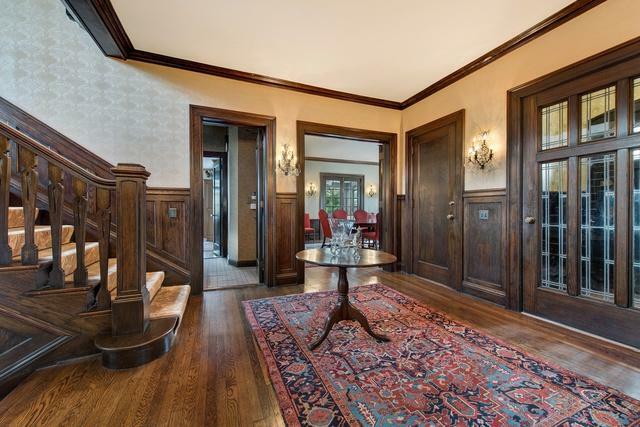 These components - large rooms, leaded glass windows, limestone fireplace, original millwork, wainscoting and beamed ceilings exist in harmony with a house perfectly updated for today. Ease of lifestyle is enhanced by large eat-in cook's kitchen, first and third floor family rooms, jewel-like office, serene master with marble bath and generous dressing room, large secondary bedrooms, two-bedroom guest suite on third floor - truly too much to list! The quality continues outside with a crisp newly-painted exterior, fabulous new plantings and hardscape, generous screened-in porch and private backyard. Perfectly located! Just a half block to the Lee Street Swimming Beach and a quick 25-minute drive downtown. 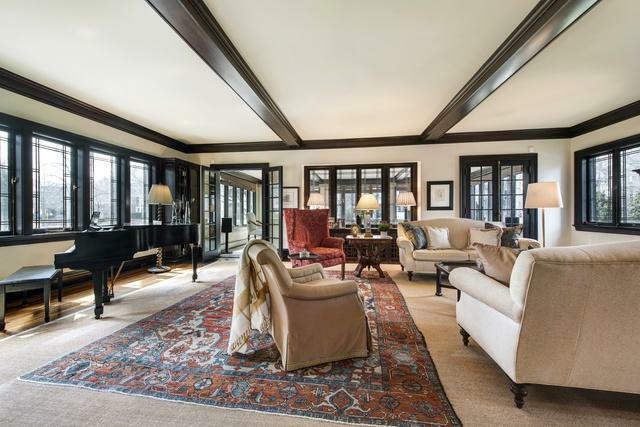 An Evanston lakeshore lifestyle just 12 miles north of Chicago.